With only a few hours remaining in ForceTubeVR’s crowdfunding campaign, the creators behind the VR haptic gun accessory are facing the facts: either their Kickstarter gains the outstanding €16,000 (~$18,00) for their all-or-nothing campaign to succeed, or they head to ‘Plan B’. 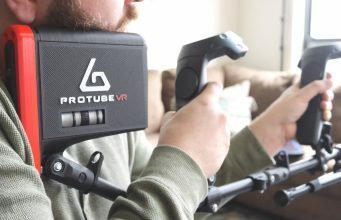 ProTubeVR CEO Romain Armand took to Reddit today to address concerns about just what will happen in the eventuality the campaign doesn’t reach its mark. To Armand, the potential lack of full crowdfunding support doesn’t spell the end for ForceTube though; the company is still seeing the project through as outlined in the campaign. While the project may have a hard time hitting its €80,000 funding goal with so little time left (currently seven hours), Armand maintains that backers will still be able to get the exact package promised through the campaign at both the same price and order priority advantage. This, Armand says, will only be offered to Kickstarter backers though, which ought to put some fears to rest. “Backers are safe and will get a ForceTubeVR at the kickstarter price by one way or the other,” Armand concludes. 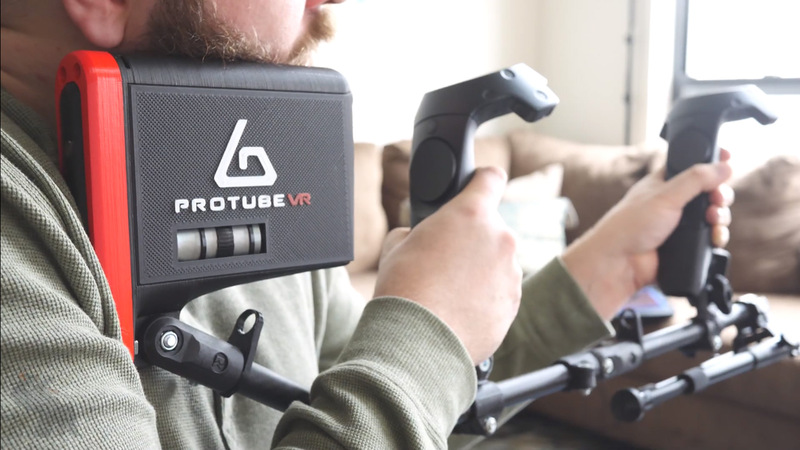 ProTubeVR is a Marseille, France-based startup that’s been active since 2016, creating several versions of its eponymous modular motion controller accessory. ForceTube was new territory for the company though, as all versions of their previous products were essentially ergonomic controller cradles that allowed for more precise and immersive shooting, but didn’t include any form of integrated electronics. ForceTube’s haptic engine is said to simulate impact with up to 60 newtons of force, rumble at different intensities, and do it all with a battery life that is said to deliver seven hours on intensive arcade use and more than 10 hours of regular at-home use. Since the haptic portion connects to both their ProTube accessory, the company is offering versions for HTC Vive, Oculus Rift, Oculus Quest, Windows VR, and Pimax. Through its Kickstarter the company is still advertising early dev kits for €200 (~$225) with delivery slated for May 2019. The final version (at least for backers) is said to arrive December 2019. It’s uncertain how following through with ‘Plan B’ will effect the delivery times at this point though. The post ‘ForceTube’ May Not Make Its Kickstarter Goal, But Creators Still Aim to Fulfill Orders appeared first on Road to VR.